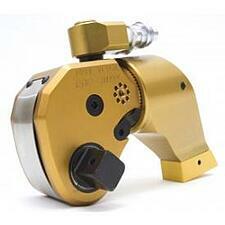 Pneumatic or Hydraulic Torque Wrench: Which One is Right for You? Customers often contact us requesting a high capacity torque wrench but are unsure of whether they need a pneumatic or hydraulic torque wrench. The answer typically depends on the application, along with several other factors. Each of these tools have their positive and negative attributes, so let’s take an impartial look at the specifics on each. Pneumatic torque wrenches clearly win out. 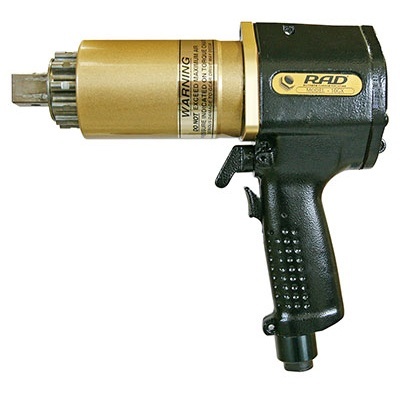 A typical one-inch drive pneumatic torque wrench runs around 10 RPM, vs. a hydraulic wrench that is operated via a pump, meaning the RPM is less than 1. Low clearance hydraulic/direct fit style tools have the edge here. These hydraulic wrenches in the 4,000-foot pound range can weigh only nine pounds, compared to a 25-pound pneumatic tool. Hydraulic torque wrenches can be only a few inches in height, versus a comparable pneumatic wrench that is 12 feet high. 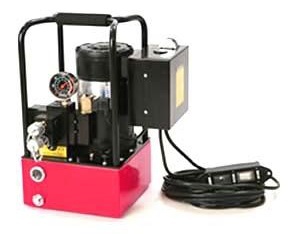 But keep in mind that the hydraulic wrench will require an associated pump that typically weighs 65 pounds or more. Hydraulic tools are typically +/- 3 percent accuracy with 1 percent repeatable torque, whereas pneumatic tools are 5 percent accurate with 2 percent repeatability. Pneumatic torque wrenches have the advantage, simply because – unlike a hydraulic torque wrench -- they do not require a hydraulic pump. This typically makes pneumatic torque equipment 30 to 50 percent less costly than hydraulic torque equipment. This is probably the single most crucial factor. Here, pneumatic torque wrenches clearly win out. Operators will find pneumatic torque wrenches much less complicated and easier to operate vs. hydraulic torque wrenches. No matter what tool you choose, it’s important to make sure the wrench you’ve chosen has an ISO 17025 calibration certification before you use it. Maxpro Corporati on is the largest independent, specialty, high-capacity torque equipment dealer in the Eastern US. As a leader in pneumatic and hydraulic bolting equipment, we’re here to help our customers obtain the right torque equipment for their applications. And our customers should know that every tool we calibrate is tested in our A2LA-accredited lab. Contact us today to learn more about how we can help you with your next project.